Have you ever tried bullet-proof coffee? I’m gonna be dead honest here and admit that I’m not a huge fan of the conventional method of using grass-fed butter. I appreciate the results (the way it helps me feel fueled) but I don’t love the butter taste. In my search to acquire the best non-butter version, I stumbled upon this article from The Alternative Daily which I just had to share! 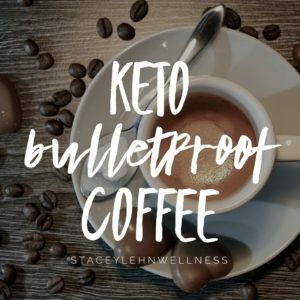 If you take the principle behind the Bulletproof coffee drink, (which is to consume saturated fats in conjunction with a high-quality coffee to enhance focus, blood sugar regulation, appetite control, and to slow down the effects of caffeine in the body), a variety of fat choices still remain aside from cow’s milk butter. Not any fat will do, however. You don’t want to be blending almond butter or olive oil with your coffee first thing in the morning — so hold on before you start throwing any fat source in your cup of java! To obtain the benefits of Bulletproof coffee, you’ll want to select sources of saturated fats and/or sources of beneficial fats that don’t lose their nutritional benefits once heated. Since many fats can become rancid when heated, this is especially important. Here are five choices you can use to make your own Bulletproof coffee without dairy and without worrying about consuming damaging fats. Remember, when purchasing any or all of these, to always opt for organic, raw and/or extra virgin in order to obtain the least processed options. The most popular option for dairy-free Bulletproof coffee is coconut oil. One reason is, like butter, this oil contains mostly saturated fats and high levels of medium-chain triglyceride fats that are easily digested and metabolized by the liver. This improves calorie burn, halts appetite, increases thermogenic energy, and produces ketones for optimal brain health and focus. Use 1–2 tablespoons of coconut oil in place of dairy butter. For those who want a creamier option, like butter, and still want the same benefits, go with coconut butter. It contains the same benefits as coconut oil, but also boasts more protein and fiber since it contains coconut flesh as well as oil. It has the same amount of fat and calories but has a similar consistency to butter. Be sure you blend your coconut butter with hot coffee in a small blender first because it won’t melt and dissolve as easily as coconut oil. Unlike cacao powder, cacao butter is all fat — it is what gives white chocolate its delicious flavor. Cacao butter contains mostly saturated fats and provides the same benefits as coconut oil or coconut butter. It’s also cholesterol-free, unlike dairy butter, and is full of antioxidants that the cacao plant is so well known for. If you’re into creamy, white-chocolate flavored lattes, this is the option for you! You’ll just need to blend it with hot coffee first to help emulsify it thoroughly. Cacao nibs are raw cacao beans broken up into tiny bits; this means they contain all the beneficial saturated fats and heart-healthy monounsaturated fats of cacao. Raw cacao is packed with mood and blood sugar benefits, so cacao nibs are a great alternative to dairy butter if you choose to use them in your coffee. Blend 1–2 tablespoons of raw cacao nibs with hot coffee depending on how rich you’d like it. Lastly, hemp seeds are another option and are becoming more popular as a Bulletproof coffee option for dairy-free eaters. Though it might sound a bit strange, hemp seeds are packed with nutritional benefits and hold up well to moderate heat (like coffee) and low-temperature baking. They contain large amounts of fats, and though not saturated, they promote the same mood, blood sugar, and overall focus benefits as the sources above. 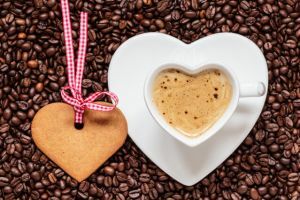 If you’d like a creamy option in your coffee, try blending 2 tablespoons of hemp seeds (also known as hemp hearts) in your hot coffee with a touch of stevia or honey for a creamy latte without butter. 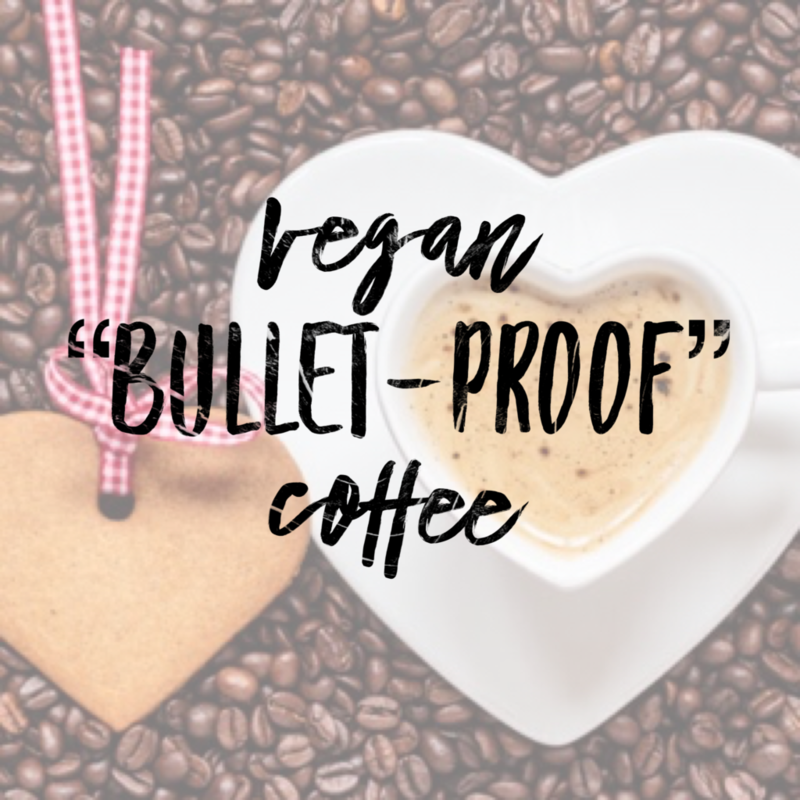 Other oils that are popular in dairy-free Bulletproof coffee include macadamia oil, red palm oil, avocado oil and MCT oil (which is tasteless and usually comes from coconut and/or palm oil). No matter what source you choose, remember to start off slow, since it may take your digestion some time to adjust to heavy amounts of fat, especially early in the day. Start out with 1 tablespoon and work your way up to 2 tablespoons if you desire to do so. Then, be sure you eat a healthy well-balanced meal with protein, healthy fats and vegetables no later than lunch for optimal fuel and energy. Interested in the grass-fed butter version of coffee? check out this recipe…..